Glum the Jester stood before the mirror in his spindly stocking feet and, having wiped the glass with the sleeve of his garishly coloured costume, reflected on the pitiable figure which glowered back at him. His ruddy cheeks and bulbous, pockmarked proboscis testified to regular sojourns at the blue Chamber Pot tavern, while his brows were arched in a permanent scowl which should have disqualified him from the post he fitted as badly as he did his clothes. The Queen was largely to blame. It was she who had decreed that the Castle’s most ill-tempered inmate should be made Court Jester, and the King, anxious to avoid another domestic dispute, had readily assented. His Highness preferred to assert himself in the kitchens, testing and tasting in the service of his insatiable appetite, to the obvious annoyance of Gut the cook and his mutinous staff. Adjusting his cap and bells the reluctant jester came eye to eye with a listless spider and the two glared at each other in mutual disgust. Flicking the insect aside Glum stormed from the garret which the King in his generosity had allotted his favourite fool. Seething with resentment he strode the cathedral-like corridors of Castle Grimm towards the Royal Chamber beating the air with the symbol of his trade—an inflatable pig’s bladder on a stick—and rehearsing his grievances beneath the folds of his double-chin. Glum bore his burdens ungraciously. It was said he had been suckled on sour milk and was bitter in the blood. He cared little for court affairs, his only concern was, and had always been, the preservation of Glum the Frustrated. However, although he despised the conniving courtiers, their intrigues and excesses, he was born of Castle Grimm and could not remain indifferent to its decline. Against storm, siege and the centuries it had endured, but a succession of vacillating monarchs had allowed the Castle to fall into disrepair. They had turned a blind eye to the peasants from the surrounding hovels who supplemented their pitiable incomes by stealing loosened stones from its crumbling towers and selling them to passing pilgrims as fossilised souvenirs of the saints. Now the whole shuddering structure tottered upon the broken tooth of rock from which it surveyed the festering hovels and barren fields below with weary disdain. Within this chaos of masonry a tortuous maze of narrow passages contrived to lose Glum at every turn, the labyrinth having presumably been gouged out of the ground by a malicious and inebriated dwarf. Floors rose steeply and ceilings plunged sharply creating a sense of foreshortened perspective that would have gladdened the dark heart of its short and spiteful architect. And all the while torches threw wild mutant shadows on the damp and glistening walls. 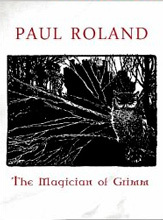 Originally released with Paul's album 'Duel' (this multi-talented artist combines a career in writing with that of a purveyor of fine, dark psychedelic music) 'The Magician Of Grimm' is finally available as a stand-alone read. And what a read - fans of Mervyn Peake, Neil Gaiman, Susanna Clarke and of dark fantasy literature in general are in for a veritable treat here. Without giving too much away, this medieval gothic novella combines grotesque characters with a plethora of Pratchett/ Dickens style names and personalities (such as Glum, Slug, Doctor Hemlock, Snoad and Crumb), a healthy dose of black humour and a truly outstanding and devastating ending. The tale rattles along gleefully like a dark inversion of Alice In Wonderland or a companion piece to Titus Groan, each page filled with the author's unique twisted sense of invention and imagination. A splendid read and one that will not disappoint. I can still recall the awful look of terror frozen on Fielding’s face the day I visited him in the asylum. Despite my dislike for the fellow, that evening I felt nothing but pity for him. Pity and a numbing sensation, a chill cocktail of fear and shock. Afterwards, as I settled back in hansom with the dull little parcel containing his personal belongings, I struggled to put events into some sort of perspective, as if by doing so I might dispel the nightmare which had engulfed us all. It was true that Fielding had been vain, conceited and habitually cruel, but until his arrest his sanity had never been in doubt. During our early days at one of England’s more Spartan public schools he had confined himself to tormenting the weakest of the younger boys as bullies so often do before graduating to gambling. By our final year he had perfected innumerable methods of cheating at cards which only a professional card sharp could have detected. For this reason few challenged his uncanny ‘run of luck’ and those who did, were made to regret it. For even as a young man he was of solid build, broad-shouldered, agile and formidable with his fists. He excelled at most sports, especially rugby where he used his physique to good advantage. But he preferred to insinuate himself into society with his boyish good looks and a veneer of charm. It was through this that he hypnotised by dear sister Sybilla. She succumbed to his flattery on their first meeting, the day of our graduation. Sybilla was a naive yet pretty girl just turned nineteen. However, I suspected Fielding was attracted more by the size of our estate than by my sister’s winsome ways, for he came from a family of modest means. I made my feelings known to my parents, but my mother refused to hear a word against him and my father’s declining health forbade contention of any kind. I saw very little of my family that summer for having left Cambridge I was intent on setting up a small practice which I subsequently did in a charming Georgian square just off the Strand. Then one day, as I was relaxing in my study after morning surgery, Sybilla came to see me and announced her intention of marrying Fielding. My arguments failed to dissuade her and she stormed out more determined than ever. The appeal I then made to my mother only succeeded in alienating her and by now my father’s health was too fragile to be aggravated by such matters. The wedding was a lavish affair, though a distinctly uncomfortable one for me. During the following weeks my mother’s letters assured me that Sybilla was enjoying her new marital status and that she and Fielding would shortly return from their honeymoon to take up residence in Sloane Square. Perhaps I had been wrong to worry about Sybilla, though something about the dowry being a trifle short of what her husband had expected and his request for a small loan gnawed at the back of my mind for several days thereafter. A month or so later, I received a letter from my mother to the effect that Fielding had not yet repaid three further loans, each of a substantial amount and that she was worried. With not an inconsiderable degree of anxiety I made my way to Sloane Square and there confronted Sybilla. Eight stunning supernatural tales of Victorian phantasmagoria, recommended for fans of Robert Louis Stevenson's darker writings or the more contemporary likes of Robert Aickman or Neil Gaiman. 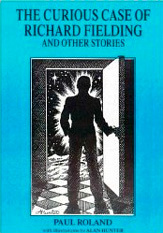 All the stories herein are unique and utterly, delightfully twisted in a classic 'ghost story' or horror manner, thankfully a world away from modern gore and deliberate shock tactics. These tales build and squirm with their own haunted atmosphere and are a joy to read (with the lights on of course). From the doomed sea voyage in 'Stowaway' to the deceptive tale of madness in the title story, these are stories to leave you shivering and wondering....what if? Highly recommended.